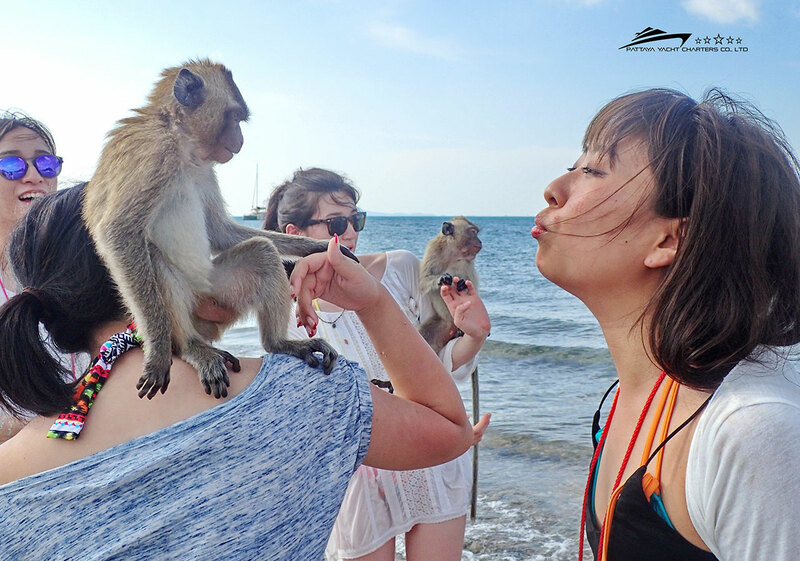 Monkey Island Pattaya, Khram island and Khram noi island, "all in one trip!" Pick up from hotel/villa at 9.30am. 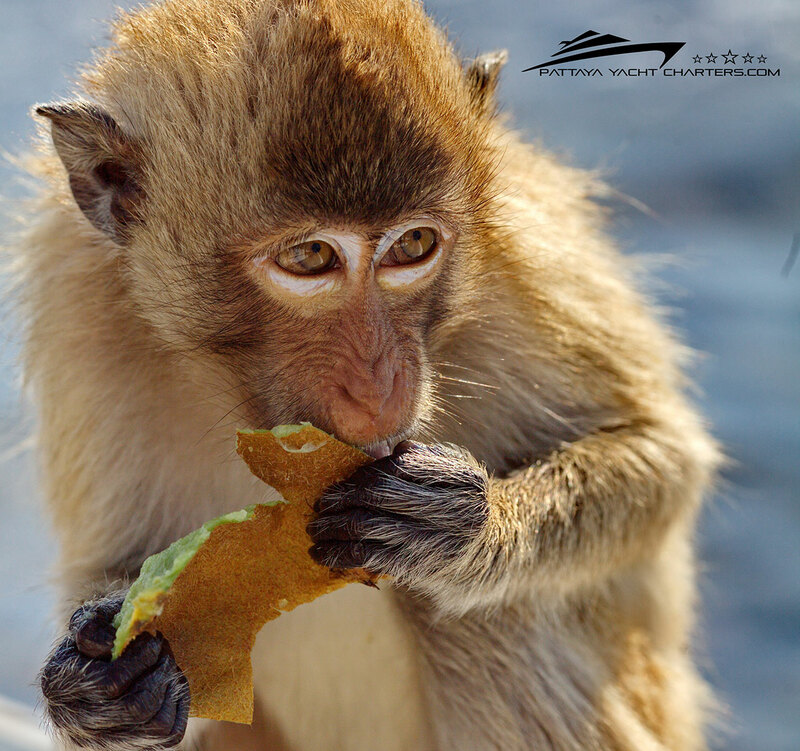 Visit Monkey island and feed these amazing monkeys. You can even swim with these friendly monkeys. Don't forget your camera. 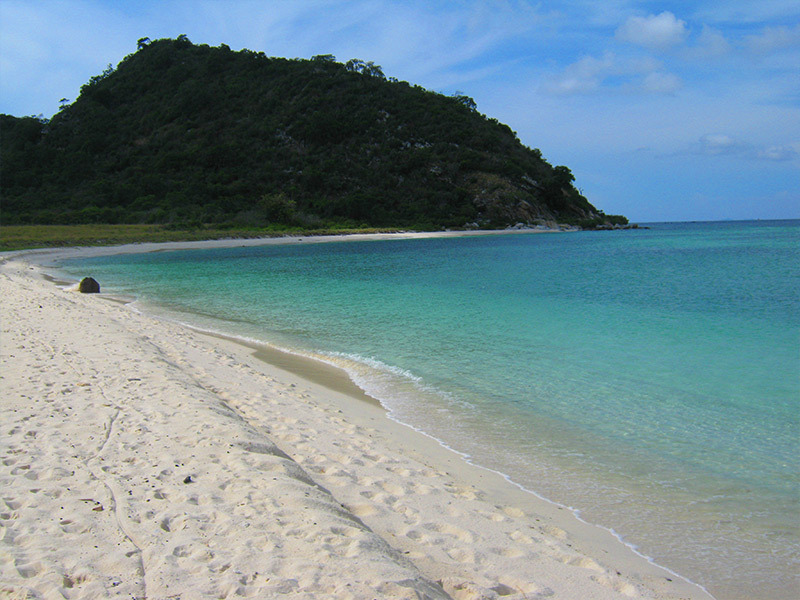 Then its off to our fishing spots where we will do some fishing for an hour or two. 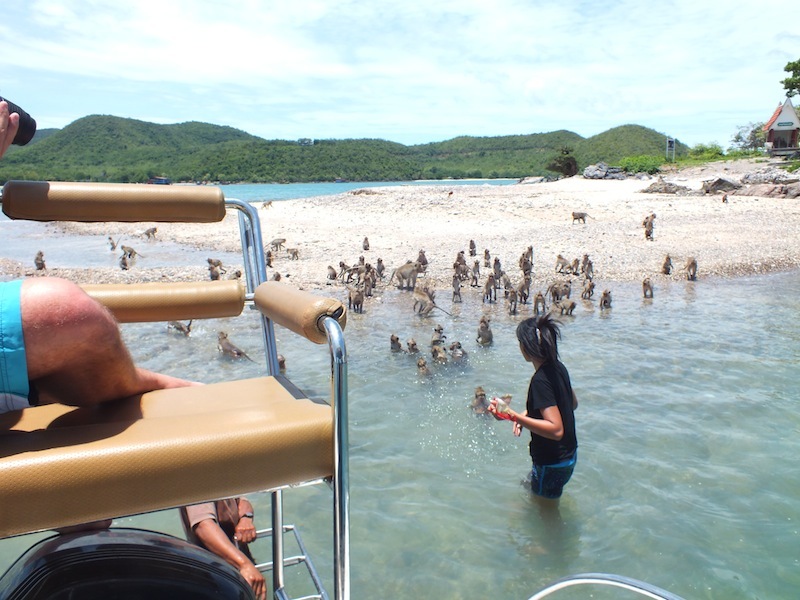 Cruise to the beautiful deserted Khram island where we will visit various deserted beaches and do some snorkeling in the clear waters and stunning coral reefs. BBQ time at Khram noi island! Relax on your own empty beach. Crack open a drink as a sumptuous BBQ is cooked for you,tiger prawns, squid, fish, skewered kebabs, hickory smoked ribs, chicken wings and sweet corn "on the cob." We have lots of soft drinks, Singha + Leo Beer and one bottle of Sang Som Rum on the boat to keep everyone well refreshed and happy. After lunch you can try water skiing if you like or perhaps a bungee banana boat or double doughnut ride. We have an air compressor on board that blows up the toys in seconds. 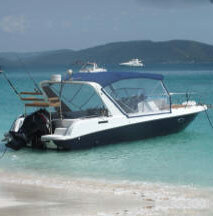 Like all trips this is your own private speedboat charter for the day so we can adapt the day to suit your needs. 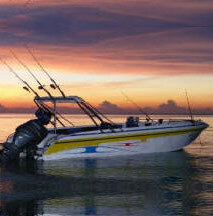 For example if you would like to skip the banana boat ride and do some more fishing then its up to u. 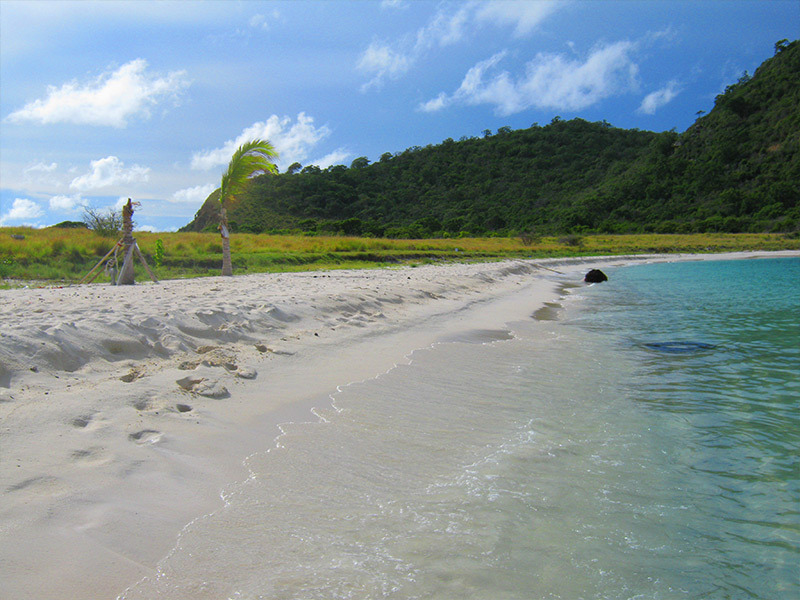 Often people like to just simply continue relaxing on the empty beach. 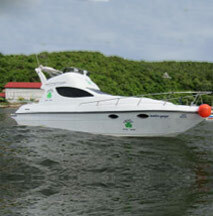 This is your special day and we at Vision Marine Pattaya will do all we can to make your day perfect. Drop off to hotel at 5.00 pm. Far Islands "all in one trip." Koh Rin, north/south rock, Koh man wichai and koh klung baden. 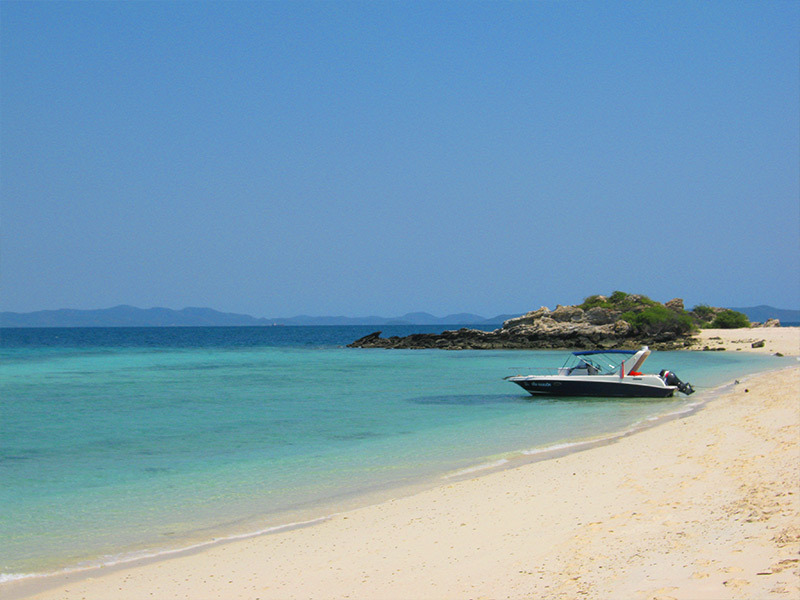 The Far islands have some of the most beautiful white sanded beaches and the best crystal clear water in the entire Pattaya archipelago. Pick up from hotel/villa at 9.30 am. Choose the activities you would like to do. Fishing, snorkeling in the crystal clear waters and fabulous coral reefs with mares masks and fins, try water skiing, bungee banana boat or double doughnut ride.